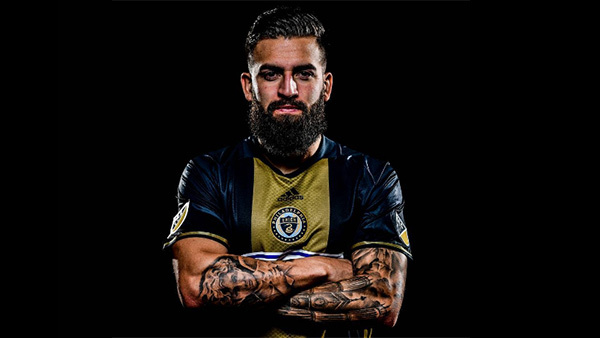 The Philadelphia Union's search for a "Chief Tattoo Officer" is not a stunt, the MLS club's vice president of marketing says. The Union revealed last week that they are currently hiring for the position, with an official job listingfor an individual or parlor to be "responsible for providing services to players and front office staff." Such a move is thought to be a first of its kind for a sports team, and could easily have been written off as a marketing ploy, but VP Doug Vosik said the listing is no joke. "To me, one of the most important things is this is not a stunt," Vosik told MLSSoccer.com. "This is a legit partner we're bringing on board to take care of our players and do some really fun things with fans eventually, once we have a shop." Vosik said players could either visit the tattoo officer's shop or the team would bring the artist to the players. He said he came up with the idea after bonding with newly acquired defender Giliano Wijnaldum while they showed off their tattoos. "I talked to the players and said, 'Here's a crazy idea for you, what do you guys think?'" he said. "At least 10 guys were like, 'That's amazing. Sign me up.'" Vosik also said he got a good response from players and staff who did not have any tattoos -- yet. "I'd say about 10 more guys rose their hands and said, 'You know what? I'd go for my first. This feels right to me,'" he said.